The kids have all been really into superhero play lately. 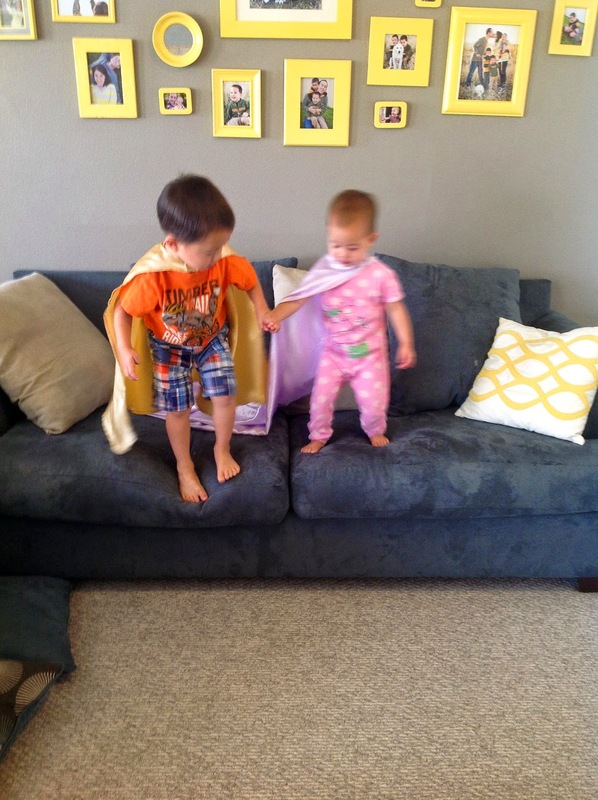 Mostly, they've been into running around the house wearing capes. And jumping off things in capes. We have about 3 full sets of capes for the kids, but only the ones pictured will do, because they catch the wind just so during all their superheroing. 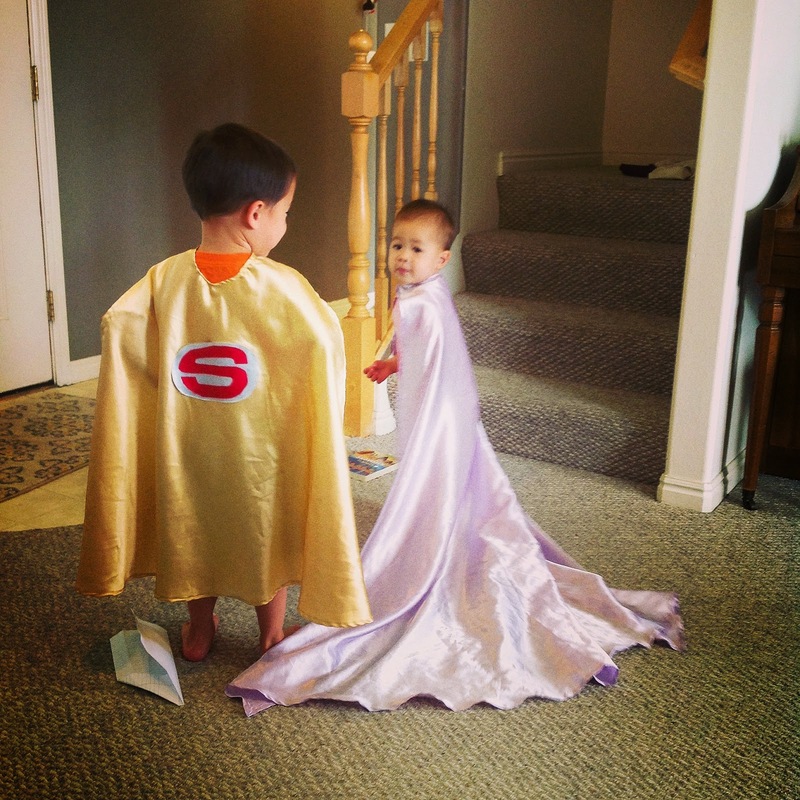 We might be raising some rather persnickety superheroes here.